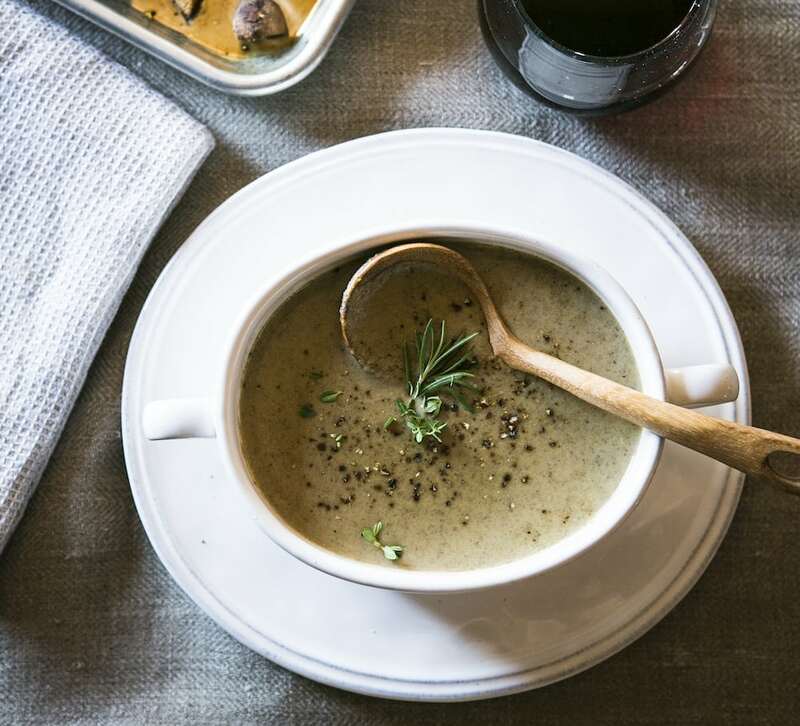 With winter approaching, it’s time to bring out your soup pot and chef’s knife for a season of comfort cooking. Patrick Brys of Brys Estate in Traverse City shares elevated, rustic and doable recipes for your holiday table. Read the full story, and get more recipes for your holiday table. Melt butter over medium heat in a large soup pot. Add onion and garlic and sauté till tender. Add mushrooms and continue to sauté until the mushrooms are tender and most of the liquid has evaporated. Add the flour, continue to stir and cook for 1 minute. Add the Pinot Noir and deglaze the pan, scraping up any brown bits from the bottom of the pan. Next add the chicken stock and herbs. Bring the soup to a boil, then simmer uncovered for 15 minutes. Using an immersion blender, puree the soup. If you don’t have an immersion blender, you can use a traditional blender to puree the soup in batches. Finally, add cream, salt (the amount of salt will vary depending on the chicken stock you use) and pepper and stir to combine. Enjoy!